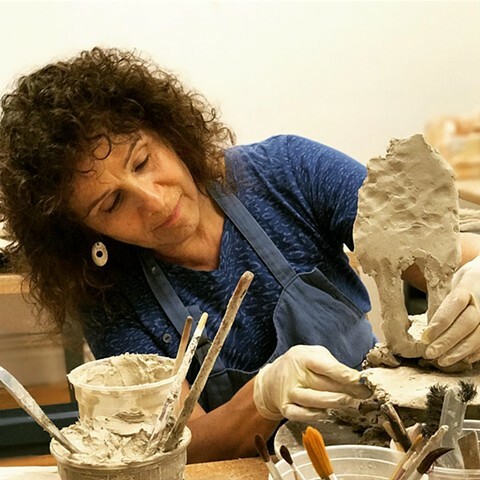 The Jane Hartsook Gallery is pleased to present work by Ghada Amer, Judy Hoffman, Alice Mackler and Ellen Robinson exhibiting their research as Artist-in-Residence at Greenwich House Pottery. 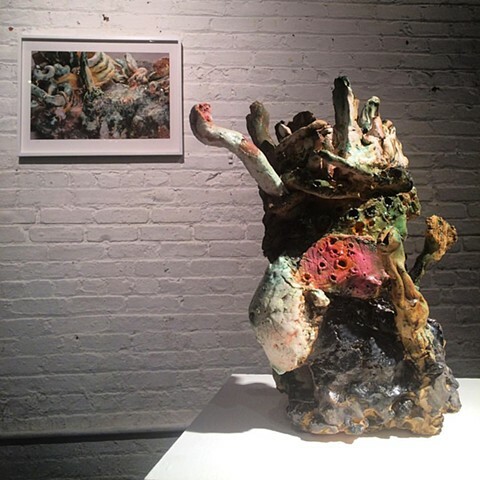 The residency at GHP is a distinguished program offering artists an environment to explore and generate new bodies of work in ceramics. 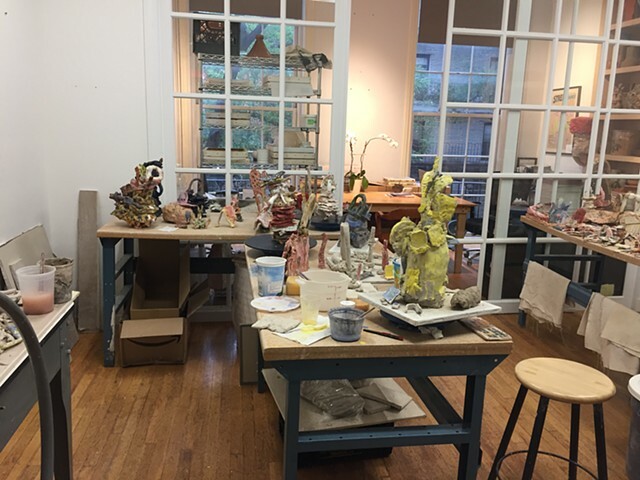 I was thrilled to spend uninterrupted studio time building ceramic sculptures during the fellowship I was awarded this summer at the renowned Greenwich House Pottery. Six incredible weeks of focused work led to new understandings and even a few breakthroughs. I invite you to come see my new sculptures - fresh out of the kiln - in the exhibition, Ceramics Now. I am honored to be showing my art with this year's other awardees. Reception: Friday, July 21, 2017, 5:00 - 7:00 p.m.